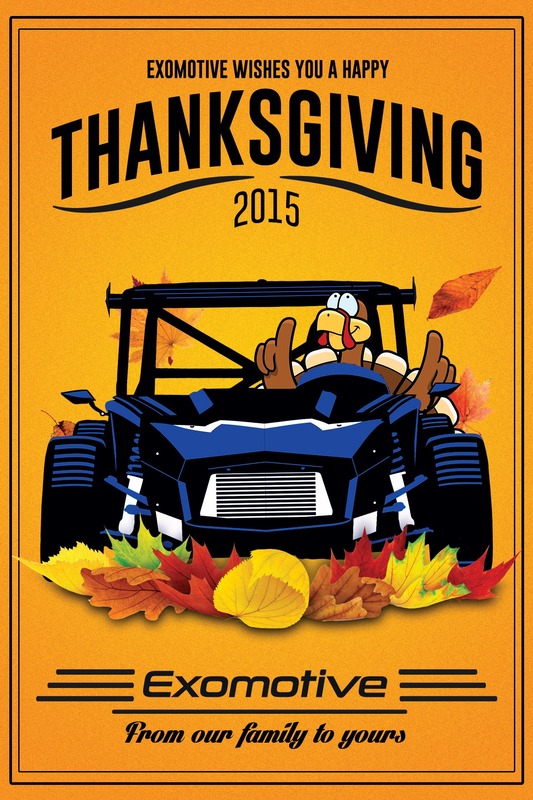 Exomotive - US Manufacturer of Exocars & Kit Cars | Happy Thanksgiving from Exomotive! Happy Thanksgiving from Exomotive! We will be closed this year Thursday through Sunday for Thanksgiving weekend. Enjoy the holiday!